Surrounding the villages on both sides of the river there are big open spaces criss-crossed with footpaths and trails for exploring the two Areas of Outstanding Natural Beauty. The map shows some of the local walks, all of which can be enjoyed within an hour or two. On the Streatley side of the river, the escarpment and hills immediately above and to the west of Streatley are all National Trust and form part of the North Wessex Downs AONB and a Site of Special Scientific Interest (SSSI) due to the special habitats and rare species found there. With the choice of stunning elevated views from the Ridgeway National Trail, quiet walks through the wooded tracks of The Holies, Lardon Chase and Lough Down with their spectacular views across the river to Goring and the Chilterns AONB, there is a walk for every mood and occasion. Across the river, Goring is the western boundary of the Chilterns and the more gentle terrain offers a different experience with excellent walks in both open countryside and wooded paths, along with the added interest of small rural hamlets, steeped in history and frequently used as film sets. In addition to the popular Thames Path National Trail, another well-known walk is the Swan’s Way, a 65-mile linear walk on bridleways following the chalk slopes of the Chilterns between Goring and Salcey Forest in Northamptonshire. This eventually links into the Icknield Way, which connects with the Swan's Way at Bledlow Ridge and continues on to Hunstanton in Norfolk. It is thought to be the oldest trackway in the country (Neolithic from 6,500 years ago). It is thought the name is derived from the Iceni, the British tribe in Norfolk that later became famous for their female queen, Boudicca. The tribes probably traded along these routes. For more information on the many short (1-3 hours), organised walks, visit the nationally known Goring Gap Health Walks (GGHW) website which has scheduled daily walks along a wide variety of routes. Cycling is a popular pursuit for families and recreational cyclists. (16% gradient) is considered one of the top 10 climbs in the country. Its recent inclusion in the professional Tour of Britain event secured its status as one of the nation’s ‘classic climbs’. But there are many gentle rides on and off-road to enjoy. Goring is adjacent to the 170 mile Chiltern Cycle Way - and there are a number of other cycling routes nearby see here. 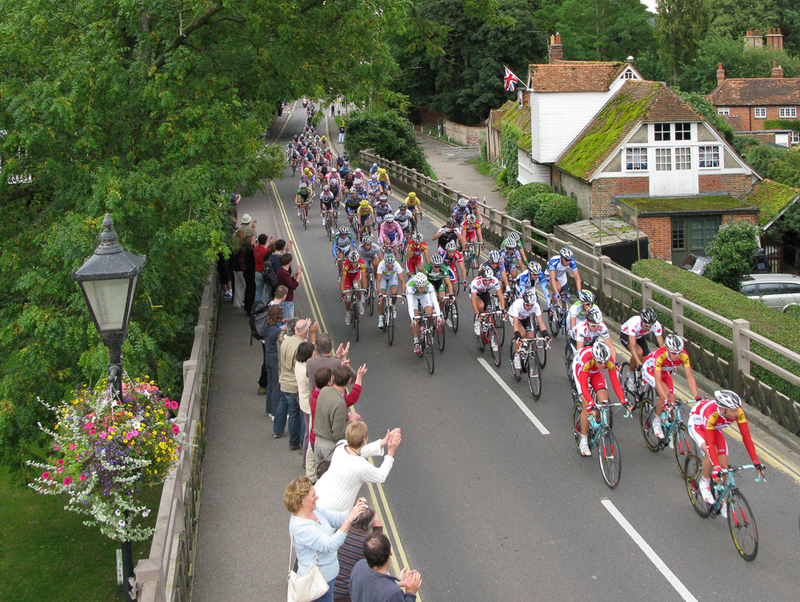 For visitors wanting to use Goring & Streatley as a cycling base, there are a number of locally organised rides, including a 100K and a Goring to Paris event. Bike hire is available in Goring at Mountain Mania Cycles but it is advisable to book ahead.